Website construction really matters. Here’s why. Website design builders Richmond VA – The construction of your website determines your success on search engines. Your page names, folders and categories determines the success of your keywords. Our expert design team work with you to determine the primary keywords that apply to your business. This lays the foundation for how we ‘construct’ your website. This is something other novice web designers fail to do. 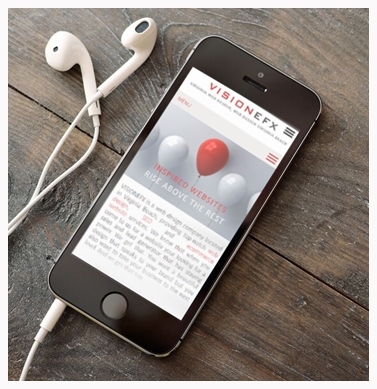 Let the design professionals at VISIONEFX build your website right the first time to insure online success. VISIONEFX provides exceptional website creative and technology services. We work businesses throughout Henrico Country, Richmond VA. Year after year our clients return to us to redesign their business website. Work with VISIONEFX for an outstanding agency level website design for your Richmond VA business. We strive to earn the respect and long-term loyalty of our clients one-website-at-time. We would love to show you what we do and how we can help your business. Your most important marketing asset. Your business website is a live 24-7 advertisement on the Web. Does your current web site look tired or dated? Now is the time to launch a brand new web site design. Our design team can craft you a professional, mobile responsive, full screen web design. There’s lots of competition in the Northern Virginia corridor. Make sure your website stays ahead of your competition. We design affordable, professional websites that generate leads and traffic for your business. We are Website design builders Richmond VA. We understand that great design and fast web support services work to provide you the very best in full service, one-stop-shop web design. VISIONEFX provides services to small to medium businesses throughout the United States. We provide custom website design, E-commerce, Word Press, Joomla, Web Optimization (SEO) and super fast web maintenance. Call: (757) 619-6456 or email info@visionefx.net. Ready to get started on your New website, Redesign, Ecommerce, SEO ranking improvement or other online project? Click here.